An outdoor wall painting that always captures my eyes, and makes me smile. 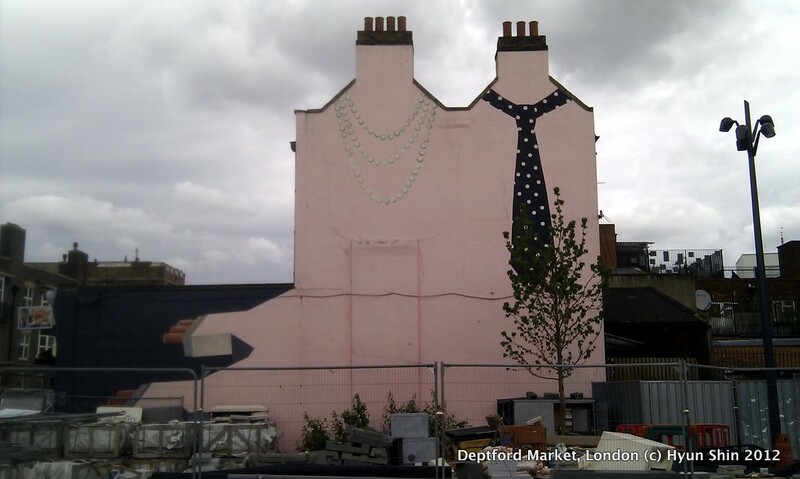 This can be found about 300 metres to the north from the junction between New Cross Road and Deptford High Street. 여름방학기간�?��?� 학�?�? 가지 않�?� 때 가�?� 오후 시간�?� 보내는 곳. 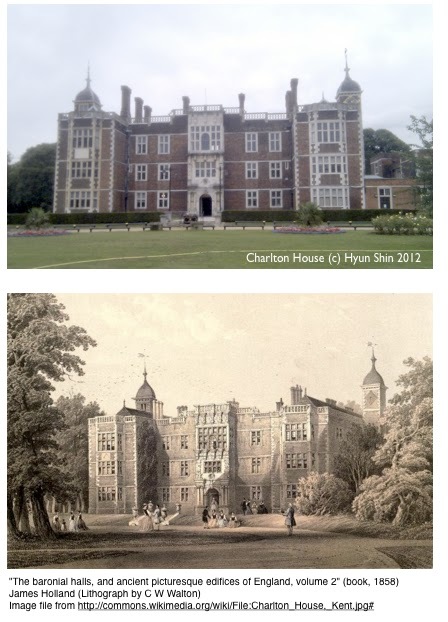 옛날 지역�?주가 거처하�?�, �?코뱅 Jacobean (제임스 6세 통치 당시, 16세기�? – 17세기 초) 스타�?� 건축물�?�다. 19세기 중반�? 발간�?� 것으로 보�?�는 어�? 책�? 소개�?� 스케치와 오늘날 사진�?� 대비해 보면 약간�?� 차�?�를 보�?�지만 잘 보존�?� 것�?� 알 수 있다. 좀 �?� 최근�? 지어진 것으로 보�?�는 건물 오른쪽 부�?건물�?는 �?�서관�?� 있는�?�, 종종 무료 �?�악회가 열리곤 한다. 낮1시�?� �?�네 노�?�들�?� 주로 오는 듯한�?�, 지역주민들�?게 �?�미있는 문화행사�?� 듯 하다. 본 건물�?는 까페가 있으며, �?�본어를 가르치는 학�?가 �?리잡고 있기�?� 하다. 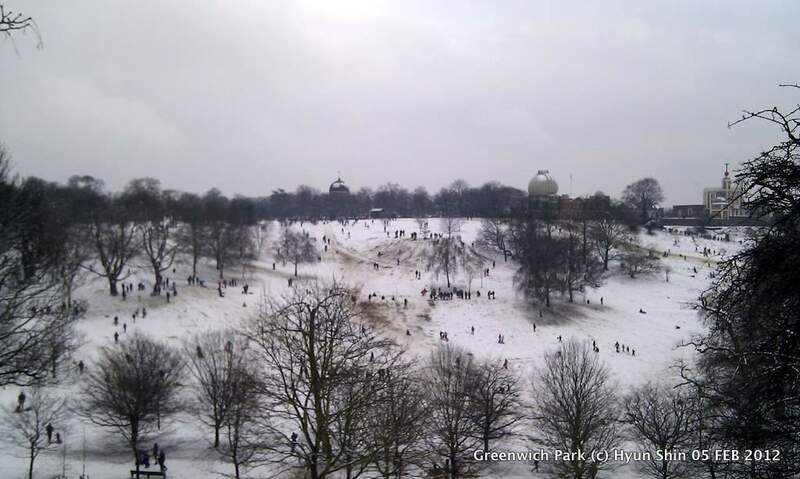 On 5 February 2012, we had the first snow in this winter, and couldn’t help but stroll around the snow-covered Greenwich Park to make the most out of the day. Not surprisingly, the park was full of couples holding each other in arms and quite naturally, families with kids whose parents towed a sledge, eagerly approaching slopes for the snow-ride. Approaching the Royal Observatory from a distance, we came across with this magnificent scene with people dotted around in all forms and posture, enjoying this snowy Sunday afternoon with their loved ones. It reminded me of a scene from a painting that I must have seen in the past – I couldn’t figure out which one it was, but later, I realise this sense of ‘deja vu’ would have originated from having come across with one of Brueghel’s winter landscape paintings. In any case, it was one of the most beautiful days that will be engrained in my heart for many years to come. ps. Another friend of mine pointed out Lowry’s paintings, which also presented some striking resemblance to how the people are pictured.